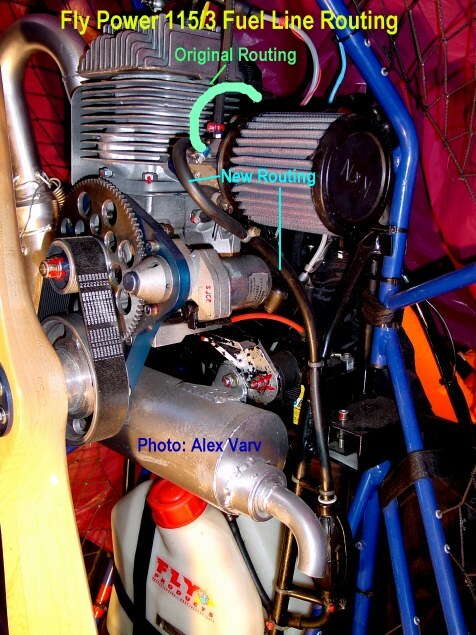 Engine performance problems are often caused by fuel starvation. 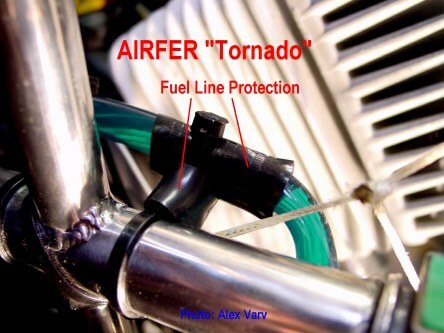 One of the reasons is a wrong routed fuel line that allows air pocket forming. The examples below show the rerouted line. Mounted in a constant slope, with no loops, the fuel line will not be able to store air bubbles. 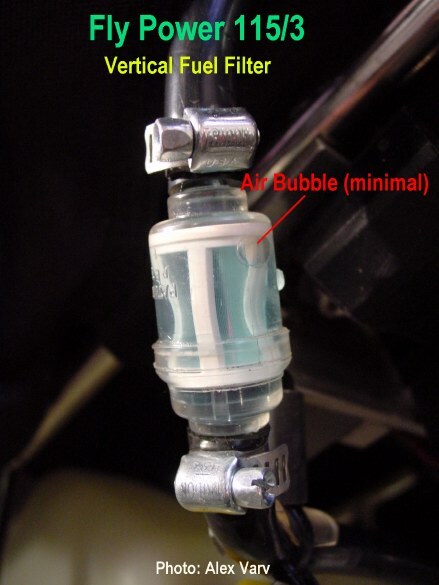 Very often horizontally placed fuel filters allow air to be trapped in. Symptom: the engine is weakening at high power settings. A vertically mounted filter will help. 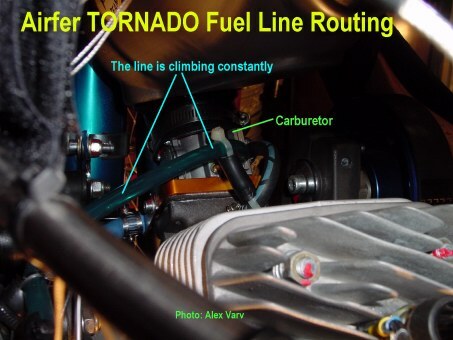 In conclusion, the fuel line should be directed on a constant slope, ending at the carburetor fuel inlet orifice. 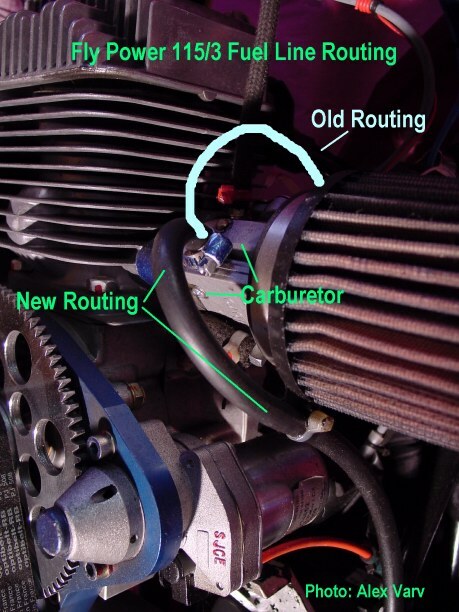 No loops should be allowed, especially routing the line ABOVE the carburetor. It will cause vapor lock or lean mixtures. Unfortunately many paramotor manufacturers do not use this routing.